I suffer through a lot of body pain, which my doctor has told me is most likely Fibromyalgia. 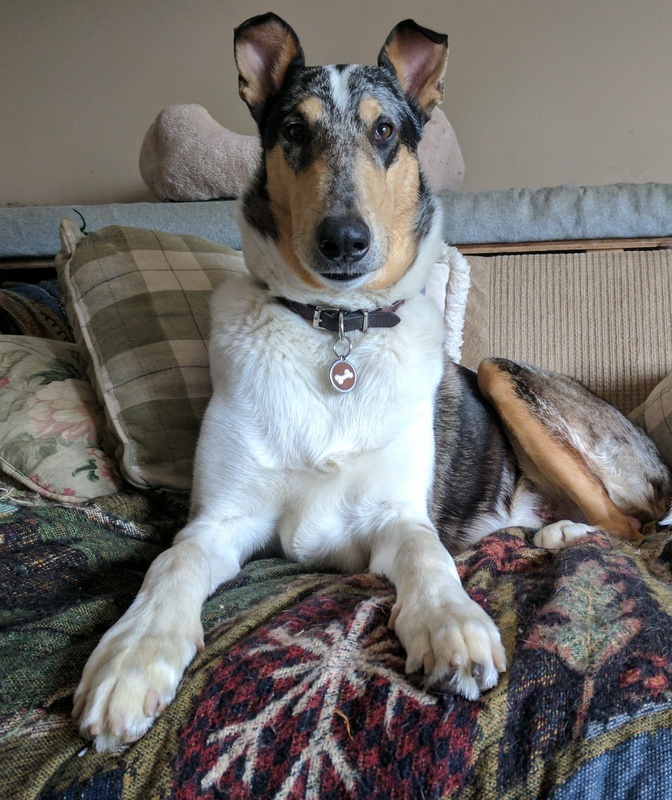 In addition to a general sense of pain in my joints and muscles, I also get very, very tired after I spend three or four days on my feet with the dogs at a show or a trial. If you suffer chronic pain and still push through and do sports with your dogs, what do you do? I personally take about 2 or 3 days after a trial to rest and sleep and get back on my feet again. I’m fortunately enough that I don’t work, I’m retired, so I have that luxury. When I was working, I worked a desk job as a computer programmer, so that also helped me to recuperate. However, it didn’t allow me to sleep! I also take some medication to help my situation, but I won’t go into details. I try not to take pain meds, and I don’t really think they help all that much, anyway. Things like Ibuprofen or acetaminophen. I think they can be dangerous if used too much so I try to stay away from them. I also have a lot of chronic neck pain, and I try to rest my neck and get massages whenever I can. I am fortunate that my dogs are patient with me on rest days. They want to chase the ball or play a little, but they will sleep with me if I ask them too. They are good dogs! Every day when I look at my dogs, and snuggle with them and love them and play ball with them, I can’t help to think about how every bit of their lives is determined by me. They really don’t have much of a choice about what they do. If I want to sit around all day, they sit around all day. If I want to train or play agility or nosework, they do it with me too. Fortunately, they are easy going spirits and also love to work and play and so far are enjoying everything I offer for them to do. And they love me with all their little doggie hearts. I love them too, of course, I could not imagine not loving them. But they bond to me so strongly, follow me around, and even, like Connor, pout and are sad when I’m not home. Fortunately, I’m able to be home with them most of the time, but I do have to go do people things sometimes and leave them home by themselves. I can only imagine the sad dogs of the world who love their caretakers so much, and bond to them so completely, and then are treated poorly or neglected. This breaks my heart. I’m sure it’s the same with human children. They have no choice but to love and bond to their caretakers. I don’t know why this concerns me. Maybe I was involved in dog rescue for too many years and saw too many dogs treated poorly. So what I’m just really trying to say is that we, each and every one of us, needs to be very aware of our dogs, their needs, their emotions, and their well-being, and treat them as best as we can. They will bond to us no matter what. They will love us no matter what. They deserve the absolute best from us in every single way. It’s our responsibility to give them the wonderful, safe, happy and healthy lives that they deserve. Take good care of your dogs, your cats, and your kids, because they are the true innocents and give of themselves completely. Let’s honor that and give to them everything we can. 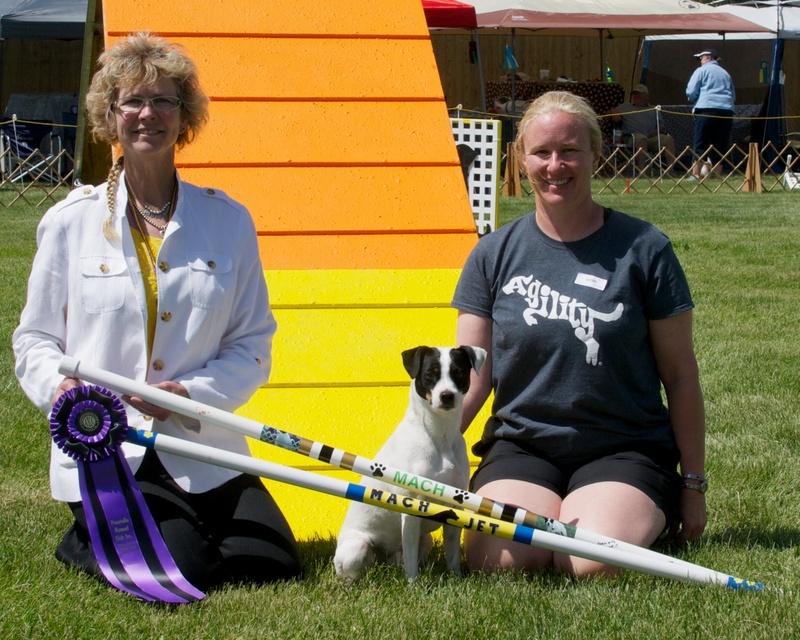 I’m so excited at how well Connor did at the ASCA Agility trial last weekend! I have been working on his weaves but didn’t know how good they would be at a trial. Well, good! Saturday he didn’t get both his weave entries, but on Sunday he did! I told him well… now he’s going to have to do AKC too! 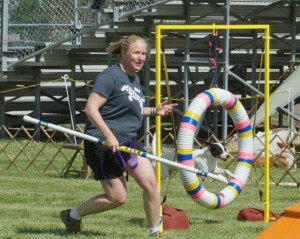 Well we went back to Agility for the Memorial Day trial, the last weekend in May. Jet’s physical therapist said he was doing well and we could give it a try. Ended up he did awesome that weekend. We went into the weekend needing 71 speed points for his MACH. He Double Qd every day.. and even though I ran as fast as I could that last day, I was still a bit nervous on our last JWW run, and it caused Jet to hesitate just a bit before a jump. Not enough to call a refusal… but, enough that we were .09 seconds over the time we needed for the last bit of speed points! We ended that trial with 749 speed points! Oh boy, that was stressful! I took Jet to Blackfoot, Idaho, and he did awesome. We went into the trial needed that one last speed point (He had 28 double Qs going into that trial), and we were lucky and able to Q the very first Standard run. Yay! He got 19 speed points that run, which gave us Jet’s MACH! I’m so thrilled! 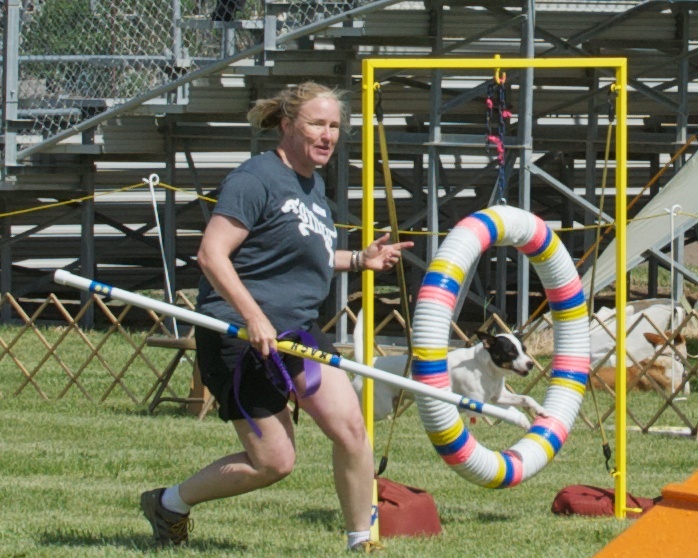 It’s my 10th season doing agility, and Jet is my 3rd agility dog, and this is my very first MACH. I guess the third dog is the charm. He’s not super fast, but he’s very consistent. We came out of the Blackfoot 4 day trial with two more Double Qs and about 86 points towards his MACH2. I just adore this little boy. He’s the first Danish-Swedish Farmdog with a MACH. Earlier that week we did Obedience as well, in Filer, Idaho. Jet needed one more leg for his CD. Of course the day was clear all day, until the afternoon when we went into the ring. Then the thunder started to boom and, during the stay group, the rain hammered on the roof of the metal building so loud that we could hardly hear the judge say “return to your dogs.” But Jet was awesome, held it together for the run through and the stays, and he qualified with a score of 186. Yay! So Jet got his CD and his MACH in the same week. I sure do adore my boy! Author CynthiaPosted on 20 June, 2013 Categories Agility, JetTags Agility, Jet1 Comment on MACH Jet! 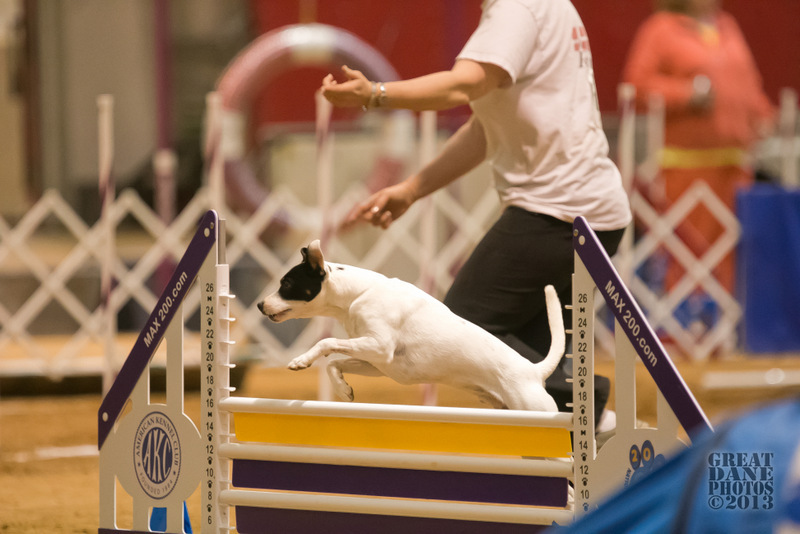 Jet and I went and competed in AKC Agility Nationals in Tulsa, Oklahoma last month. He did really well. Even while I didn’t think it was as fun as Invitationals, it was my very first Nationals and we had a good time. Jet ran clean in the practice round on Friday, and in T2B for a Q. Then on Saturday he did well in JWW, but he took off early over the triple and came down hard on the top bar. He ran clean the other two runs… even though the judge called an F on his standard run for stepping into the chute… which I guess they were being very picky about. It rather ticked me off, since Jet doesn’t ever run out of the ring. I talked to the reps, but they wouldn’t take the F off his run, so no ribbon. Oh well, we got a ribbon for Hybrid on Sunday so that was fine. And the Time to Beat ribbon on Friday. On the Wednesday after we got back, Jet came in from playing in the back yard with the collies and he didn’t put any weight on his left rear leg. Oh no! Well, long story short, I’ve taken him to three vets now, and has his hips and elbows xrayed for OFA. He also appears to have grade one luxating patellas in both knees, which is a bummer. His hips are probably Fair to Good, I hope to hear from OFA back soon. The patellas shouldn’t affect his agility at all, which is good. A couple of weeks before Nationals, Jet got sick, and had to spend the night at the ER Vet getting fluids. That was probably the scariest night of my life. We still don’t know exactly what happened, but he seemed to recover fine and the vet gave us the go ahead for Nationals. Yadda yadda yadda… and the latest sports/holistic vet tells me that Jet has pulled his left rear hamstring. So I’ve been trying to Google “Dog Hamstring” and I haven’t found much at all. He is going to do some homeopathic remedies, and in a couple weeks we are going to meet with the physical therapist. For the last month his play has been severely restricted. But walks are fine, so I’ve been taking him on walks to keep him strong, and it’s good for me as well. I had to pull him from two agility trials in May. Which is a bummer, because we are 71 points from his MACH. But.. I’d rather have a healthy dog without a MACH, than an injured dog with a MACH. He hasn’t held up his rear leg in over a week, so I think he’s healing, but not quite out of the woods yet. Hopefully with some PT and remedies, rest and exercises… he’ll be good to go for the end of May, and June. He’s my baby boy, so I want him strong and healthy! Below is the video of his JWW run at Nationals where he crashed the bar. The holistic vet did say that the entire sickness, crashed bar.. etc, may have all added up to weaken his system. I hope he heals quick. Oh, and he’s going to get cold laser treatments as well to help speed the healing.